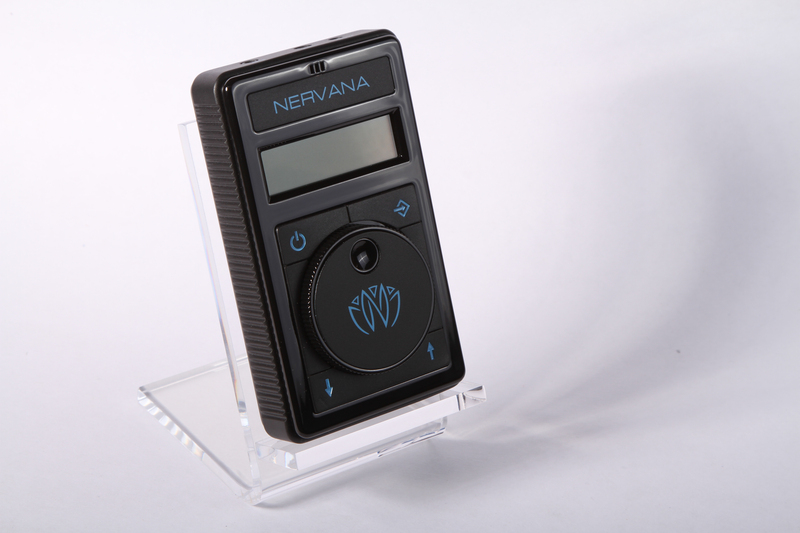 With the Nervana Generator and Headphones, users favorite tunes are transformed into therapeutic melodies, aiding in relaxation and meditation, offering listeners a unique, natural high. A new pair of headphones, paired with their own sound generator, is promising to give listeners a truly buzzworthy experience. Using sound waves and stimulation signals, the Nervana Generator and Headphones allow users to feel the music, offering a unique, natural high. Marijuana enthusiasts are always looking for a way to enhance their experience. The Nervana sound system affects the nervous system by introducing different sound frequencies and waves, through user-selected music. Listeners’ favorite tunes are transformed into therapeutic melodies, aiding in relaxation, meditation and massage therapy. Constructing the Nervana generator and headphones was no easy task. Precise science combined with cutting-edge technology left developers with a very unique product, capable of coaxing users into a euphoric state. Tunes are synchronized and adjusted for each specific user. Frequencies are outputted through the ear buds, delivering tiny, targeted sound waves to the Vagus nerve. Vagus Nerve Stimulation is used to treat many different medical conditions, including depression and epilepsy. By including music into the stimulation process, developers are able to provide listeners with an experience where they can actually feel the music. The patent-pending machine has three modes: Music Mode, Ambient Mode and Formula Mode. In music mode, the sound generator takes user selections, analyzes the music signal and creates a Vagus nerve stimulation output that is synchronized to the tune. In ambient mode, sounds from the environment are pulled into the generator by an internal microphone and synced up with a nerve-tingling output. Formula mode offers the stimulation signals without the use of music. Creators and brothers, Drs. Richard and Daniel Cartledge invented the Nervana generator and headphones to give users the benefits of surgically implanted nerve stimulation devices, without the invasive procedure. Nerve stimulation devices are used to ease minor pains, reduce stress, lessen symptoms associated with depression and aid with insomnia, among many other things. To enjoy the benefits, most people have to undergo some type of surgery to implant the nerve stimulating machine. With the new technology in Nervana, customers would be able to find relief, without surgery, in a very natural way. Even if you don’t need it as a medical necessity, there are so many other reasons to enjoy the Nervana Generator and Headphones. Music lovers will enjoy this machine because it offers a truly unique listening experience. By synchronizing the sound waves and signals to a song, users are able to physically feel the music, as the waves are introduced to the nerve system. Imagine 100,000 Nervana users at a concert, all in Ambient Mode, feeling the music together. It would be epic! A nice body buzz would surely be enhanced by some musical sound waves. Marijuana users will love having the vibes pules through them; choosing tracks that start out slow and build up, to match their rising high. The Nervana Generator and Headphones go on presale in Spring 2016. Be sure to order yours, so you don’t miss out on the next big trend in music. Have you ever experienced a nerve stimulation device? Do you think they work? Let us know on social media or in the comments below.